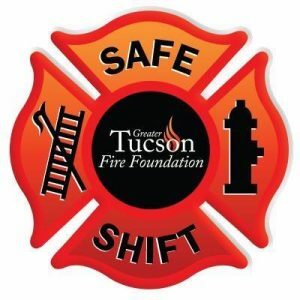 The Greater Tucson Fire Foundation begins the 9th year of serving the region’s fire service family. Our ALL Volunteer organization has come a long way from the days of going month to month to figure out how to pay for mental health copays, fireground survival cutters, cancer screens and advanced cardiac ultrasounds. The Foundation began with focus groups both from within the fire service and from members of the community who were familiar with nonprofit charity operations. Once the Foundation became active we followed the guidance of Dr. Wayne Peate, Nationally renowned Firefighter Occupational Medicine Physician and Scientist who was member of the Board of Trustees of the Foundation then transitioned to an ex officio position on the Board. With Dr. Peate retiring from practice the Foundation has moved to a strong alignment with Pima County Fire Chiefs Association as we move forward in “taking care of those who take care of us” with contemporary an compliant health and wellness programming. To date still, 96 cents of every dollar spent by the Foundation goes to firefighter health and wellness programming. The Foundation’s financial status remains positive, inclusive of strong performance in December and January for Safe Shift and strong effort with 2018 Firefighter Mental Health Challenge/Match Grant. Mental Health: We were quite pleased to note in this recent article that we run parallel with our neighbors to the north in providing resources to our fire service family. For eight years the Foundation has continued to work to break down barriers to firefighters accessing mental health resources for firefighters and their families. Under guidance from the 17th Surgeon General of the United States the Foundation has built and “off campus, out of chain of command” model to provide access to mental health clinicians. The Foundation provides a listing of qualified and experienced providers ( NFPA 1582 & NFFF) and covers counseling copays for the firefighter and family. The number of firefighters utilizing this resource continues in an upward trend while over the last few months full families in crisis have been covered by the Foundation resources. In an effort to bring continued awareness of and to assist with resources and attempt to erase the stigma of asking for help and accessing resources workshops are scheduled for administrators, providers, firefighters and their families. We begin 2019 with a Strategic Plan as adopted by the Board of Trustees in November of 2018. The major funding sources for Firefighter Health and Wellness programming are Safe Shift Estate Sale Resale and Fiesta De Los Bomberos. Both the Safe Shift store and the FDLB event are open to the public and very much relies on the public’s participation. These are opportunities for the public to be active in supporting their region’s fire service family. We encourage you to follow the Fire Foundation on Facebook and learn more about the foundation online a www.tucsonfirefoundation.org.